With so many river cruise adventures to choose from, we help you narrow down the best river cruises in Europe. 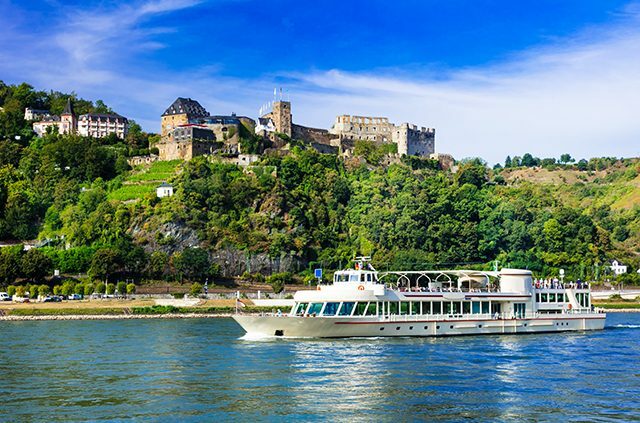 A romantic river cruise on the Rhine past famous medieval castles. There are almost an overwhelming number of river cruises in Europe that vacationers have to choose from when planning a trip. All the best cruise lines offer itineraries along picturesque rivers in Europe, with castles, wineries, historic sites and much more, just minutes away from your ship. Here’s an overview of what would-be cruisers can expect to experience when traveling on a river cruise in Europe. Once you narrow down which region is most appealing to you, researching the best cruise line for you is the next step. Which river would you like to travel on first? Avignon; Beaune, the wine capital of Burgundy; Vienne, home to the remains of a 14,000-seat amphitheater and a temple built in 25 B.C. ; and an excursion to Arles, where Vincent van Gogh lived and painted. The busy Seine, running north through Paris into Normandy into the English Channel at Le Havre, offers a wealth of fascinating places to visit, including the Normandy D-Day beaches; Rouen, where Joan of Arc was burned at the stake; and Giverny, where Claude Monet lived for almost four decades. The itinerary for most cruise lines is the same, sailing from Paris between Rouen or Caudebec. In Rouen, the capital of the Normandy region, tours to its historic cathedral, built between the 13th and 16th centuries and landmarks relating to Joan of Arc, are a must. All Seine cruises offer full-day excursions to the Normandy Landing Beaches, including Omaha Beach, plus visits to the Point du Hoc monument and the American Cemetery. The 776-mile Rhine River, which runs through Switzerland, Liechtenstein, Austria, Germany, France and the Netherlands, is known for being one of the best European cruises, famous for its castles and stunning scenery. 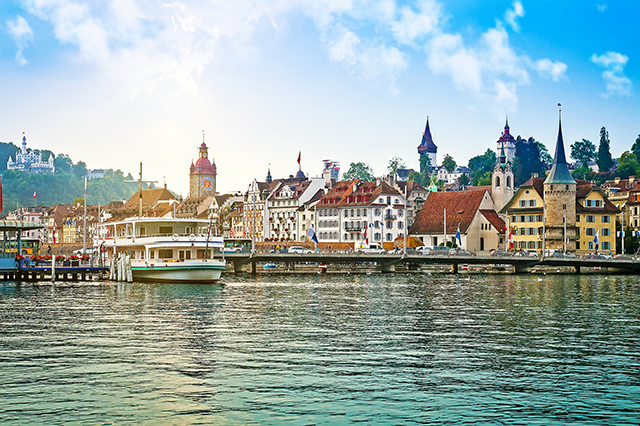 On a typical seven-night cruise from Amsterdam, ports and excursions include Basel, Cologne, Koblenz, the Rhine Gorge, Rudesheim, Mannheim and Strasbourg. There are a lot of variations, of course, with different starting points and stops, which offers cruisers plenty of interesting options. The Danube, Europe’s second longest river, flows through 10 different countries and is, of course, famously named in Austrian composer Johann Strauss’ famous waltz, “On the Beautiful Blue Danube.” All cruisers on the Danube will hear it played at least once on a trip! Common itineraries are sailings between Budapest, Hungary and Passau, Germany. Highlights include Vienna, once the center of the Habsburg Empire, with visits to the Hofburg Palace, the Vienna Opera House, and Ring Boulevard; Salzburg, the birthplace of Mozart; and Melk home to the stunning Benedictine Abbey. Running from the Czech Republic through Germany, most river cruises on the Elbe River run between Prague and Hamburg. 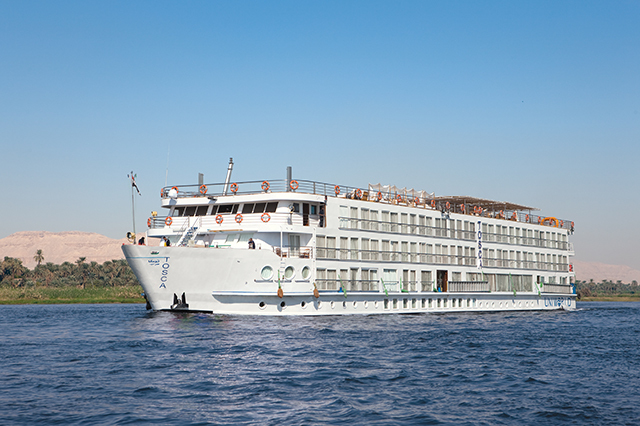 Cities on an Elbe cruise include Dresden, Meissen, Worlitz, Wittenberg and Magdeburg. In Dresden, nicknamed “Florence on the Elbe,” passengers will visit Zwinger Palace, the Semper Opera House and the Frauenkirche (Cathedral of Our Lady) with its unique bell-shaped dome that survived World War II bombings, but collapsed the following day, and then was rebuilt. Meissen is famous for its fine porcelain, Wittenberg is where Martin Luther nailed his thesis to the door of Castle Church and triggered the Protestant Reformation. Christmas market in Frankfurt, Germany. While virtually all river cruises in Europe are offered in warmer months, the one exception is Christmas market cruises, which practically every river cruise line offers. 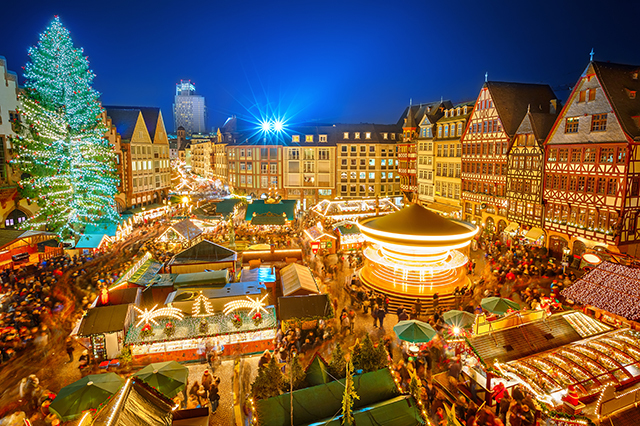 While Christmas markets are a centuries-old tradition in European cities, cruising is a novel way to enjoy more than one. The most authentic markets are found in Germany, Austria, Hungary, France and Switzerland. Running across Central Germany, the Main River is formed by the joining of the Red Main and the White Main, meeting the Rhine River at the town of Mainz. Cruises on the Main are usually combined with Danube River cruises; since1992, the Main-Danube canal connected the two rivers with a total of 16 locks. On a Main cruise, running between Frankfurt and Nuremberg, ships stop in Heidelberg, Wertheim, Wurzburg and Bamberg. Highlights include a visit to Johann Wolfgang von Goethe’s home in Frankfurt, and the town of Bamberg, a UNESCO site, which dates from 902 A.D., making it one the most impressive river cruises in Europe. Flowing through France, Luxembourg and Germany, the Moselle River is known for its medieval architecture and excellent white wines. The climate, soil and topography along the Moselle create an ideal environment for the cultivation of grapes. On any cruise, the region’s celebrated wines will be a highlight. Stops along the picturesque river include Metz, France; Remich, Luxembourg; and several places in Germany, including Trier, the oldest settlement in Germany. Lisbon to Porto (or the reverse) is a common itinerary on the Douro River in Portugal. The Douro River Valley is the world’s oldest demarcated wine region and a UNESCO Site. Most cruises begin or end with an overnight stay in the UNESCO World Heritage city of Porto, with ample time to explore. Highlights along the route include seeing the world’s deepest lock, Carrapatelo, with its 115-foot-tall walls; excursions to Lamego to visit the 18th-century Sanctuary of Our Lady of Remedies pilgrimage church; and a full-day excursion to Salamanca in Spain. All along the way, passengers will get the chance to enjoy Portugal’s national beverage, port. Another immensely popular themed river cruise in Europe is a voyage to take in the Netherlands and Belgium’s famous tulips. These are often called “Dutch Waterways” cruises, since ships go through a network of small rivers, inland seas and canals which are referred to as the Dutch Waterways. These mid-spring trips typically start and end in Amsterdam, and travel to Antwerp, Arnhem, Ghent, Rotterdam. A visit to the Keukenhof Gardens, the world’s largest floral park, is of course, a highlight. Almost all cruise lines offer some version of a tulip tour. What are the river cruises in Europe that you would like to explore? Tell us in the comments. Start planning you river cruise vacation with AAA. 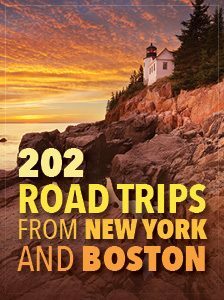 Article tags: AAA, all cruise lines, best cruise lines, best european cruises, cruise in, cruise lines, cruises, cruises in europe, cruising, day excursions, european cruises, food, historic sites, home, house, Omaha, river cruises, river cruises in europe, tours, travel, trip, vacation, vacation search, waterways cruises. We traveled on AmaWaterways between Budapest and Prague. Too fantastic for words. Great trip ship and crew. No negatives. So glad to hear you had a great trip! 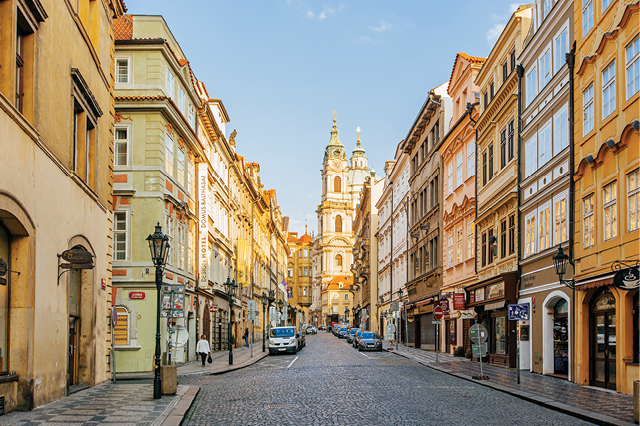 Budapest and Prague – and everything in between – look absolutely gorgeous. We traveled on AmaWaterways from Basel to Amsterdam on the Rhine. The ship, staff and food were great. What some cruise line brochures seem to side-step is the fact that these are working commercial waterways – many a barge and large industrial complexes along the river. So your sightseeing may not always be picturesque. Still, it was like living a week of History Channel documentaries. The included guided walking tours were wonderful, as were all the locals.